On Monday, I will be departing for Haiti on what could be the adventure of my lifetime, at least for now. I’ve traveled quite a bit in my 23 years. My parents were born and raised in Puerto Rico, and my mother especially has always made traveling a priority (she and my sister have been to far more places than I have). So I’m off to Haiti. I was actually hired for this trip by HIS Vision, a non-profit organization that supplies eye care services to children and adults who need it. I’ll be traveling with a team of doctors and volunteers, and my duties will be to document the experience on both video and paper. The people I first told about this trip said that it was “inspiring.” I’ve been asked many times what “inspires” me, or rather, what influences the choices I make that lead to successes – or failures. There’s no easy answer to that question. Plenty of things inspire me in too many ways to narrow down. I’m inspired by life’s nuances, powerful acts of drama on my television screen, a funny joke or idea my friend tells me and even something as insignificant as a brief interaction with a stranger. More than anything, I’m inspired by the work of others. I’ve gotten to where I am because I’ve pushed myself to exceed the works of those who inspire me. Whenever I read or digest something that makes me feel even the slightest tinge of jealousy, I get excited. I get excited because I’ve come across a new opportunity to achieve something just as great. Is that ambition or imitation? Probably both. We imitate most things we create without even realizing it – subconscious realities and all that. In 2012, the co-founders of Twitter (you’ve probably heard of it) decided to create a new blog-publishing platform. Their goal was to establish a new standard for how gorgeous and well-done a blog can look (and read). They accomplished just that with Medium. The glory of it is that anyone with a Twitter can publish their story. That said, I still haven’t done my first story for Medium yet, as I’ve found myself quite content so far to experience the website on one side for now. I hate stock photos. I hate having to buy them. I hate having to pick from a catalog of them. I despise stock photos. But they’re necessary, at least for what I do for a living. 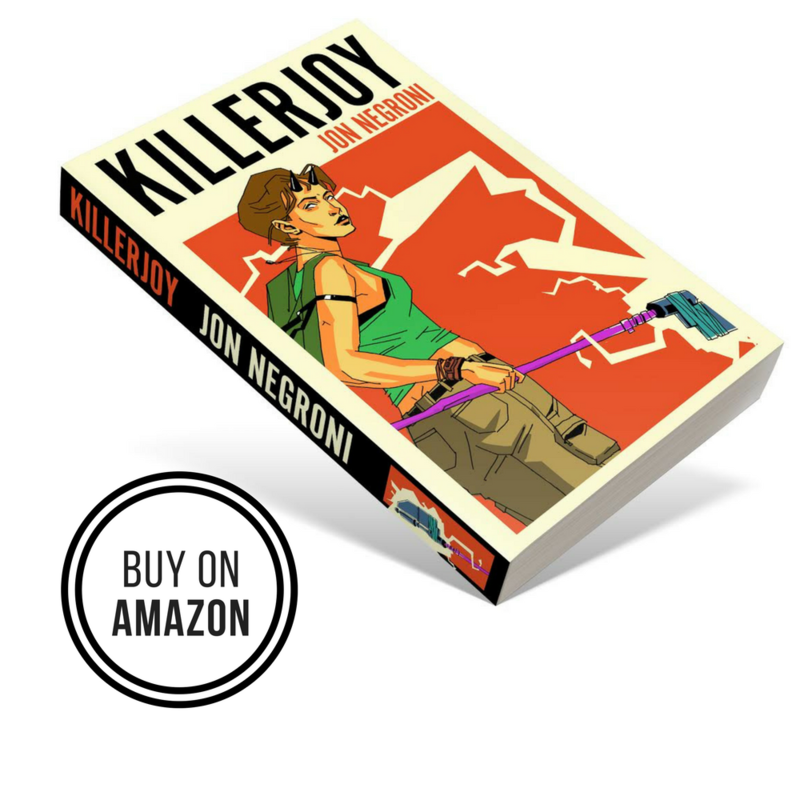 Though I usually opt to create my own graphics for this site, building a stock portfolio for my works elsewhere is a major priority for me as both a writer and a publisher. One of my favorite resources is Unsplash, a tumblr where some of the best photographers publish their jaw-dropping images for free. Yes, they’re 100% free, and 10 new amazing photos are added to the site every 10 days. Unsplash isn’t my only go-to for stock photos. When I need the best stock photos available, I choose Stocksy first (that sounded way too much like an advertisement). But no, seriously, this site is perfect for bloggers and businesses that want affordable, high-quality stock photos. The images are gorgeous, and their library is massive enough for you to build a fantastic portfolio with matching images that will make your website stand out. In fact, these are the only stock photos I’ve ever thought worthy enough to be purchased, and I keep coming back for more. Nothing inspires me more than stories. I love the news, but I also hate combing through the news for what’s going to inspire me on any given day. Well, I’m about to introduce you to a site that might just change your online life. 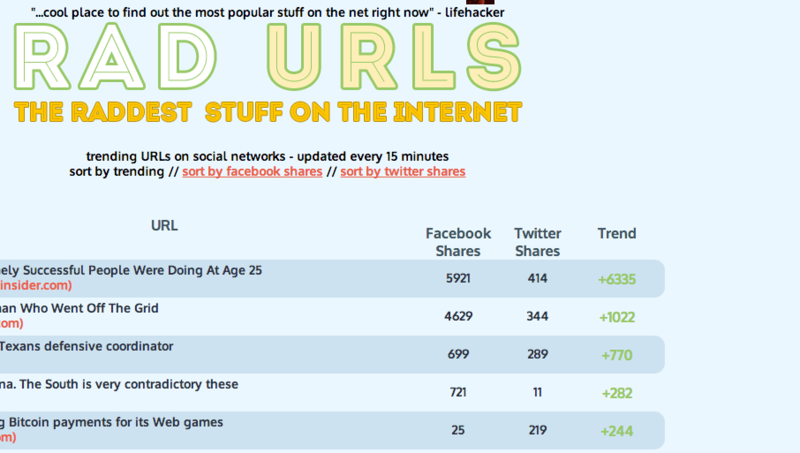 RadURLs is a list of the Internet’s top 100 URLs. You can sort according to Facebook shares, Tweets or an average of both. I use this service every day to quickly find out what everyone is talking about and listening to, allowing me to find the best stories the Internet has to offer…on demand. I love to laugh, but I don’t really like watching videos on Youtube. This is because my online time is usually reserved for my day’s most quiet moments, and videos would disrupt that. Unfortunately, this means my appetite for humor is limited to memes and jokes that have been retold countless times. Nothing inspiring about that. 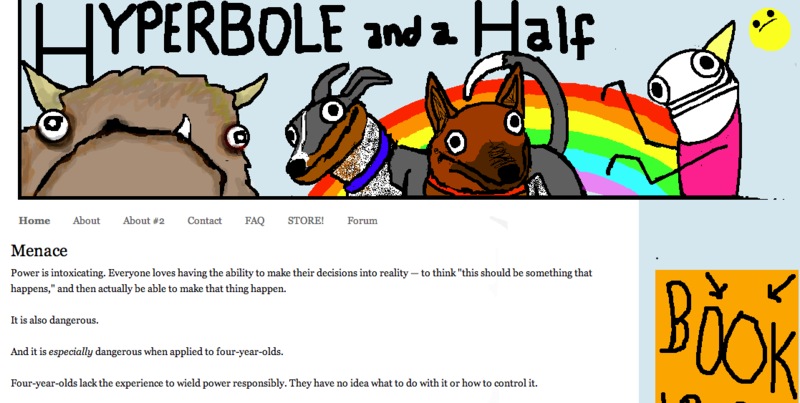 That’s why I’m obsessed with Hyperbole and a Half, a simple Blogger site by Allie Brosh. In my opinion, Hyperbole and a Half is one of the funniest websites of all time. It’s so funny, I actually bought the book based on the blog, and I’ve probably reread it a dozen times now. Brosh’s writing and ensuing illustrations are addictively hilarious and depressingly poignant. They cheer me up just as much as they inspire me to make my writing invoke the same emotions from my own readers. It hasn’t been around for a long time, but Narratively is one of my go-to websites for inspiring stories. They opt out of publishing news that is “breaking” or sensational. Instead, they produce stories that speak to real people about things that have been overlooked by journalists who are too concerned about job security to stray from what’s known to sell. What inspires me most is the format, however, as they frequently update their website’s theme to mirror their current frontline. The website is beautiful, useful, timely and essential for anyone who wants to go deeper into the world’s narrative. If you’re already a believer in Spotify, then you can go ahead and skip this one. I put it on this list because I owe it a great deal. Because of Spotify, I discover music that moves me every single day. With simple clicks, I can find new melodies that people I care about are inspired by. I can go on a drive that is fueled by music I love, and it’s all seamless. Specifically, the service recently came out with a “discover” tab that simplifies the process of finding new music to love. It recommends tracks and albums based on what my friends are listening to, new tracks by artists I love and even old tracks I haven’t listened to in a while. This is my favorite website about writing. I read almost every article, no matter what it is about. Why? The copy on this site is so deliberate and well-done, that it actually cures writer block for me whenever I need to. It’s that inspiring. The writers for Copyblogger simply understand what makes copy engaging and fun to read. That’s not even mentioning all of the articles they publish about making your own writing better and more lucrative for whatever your purposes are. I’ve been using Losttype for years as my top resource for acquiring new fonts. You see, I’m a bit obsessed with font and typography. If it doesn’t look good, I probably won’t read it. So I rely on Losttype for finding new and inspiring fonts to include in anything I design and produce. The fonts are free, but you can donate. There aren’t a lot of them, but that’s sort of the point. You’ll only find the best and most unique fonts on here. When I first broke into the business of writing professionally, I was lost. I had no idea what I was doing or what I needed to do in order to find success. 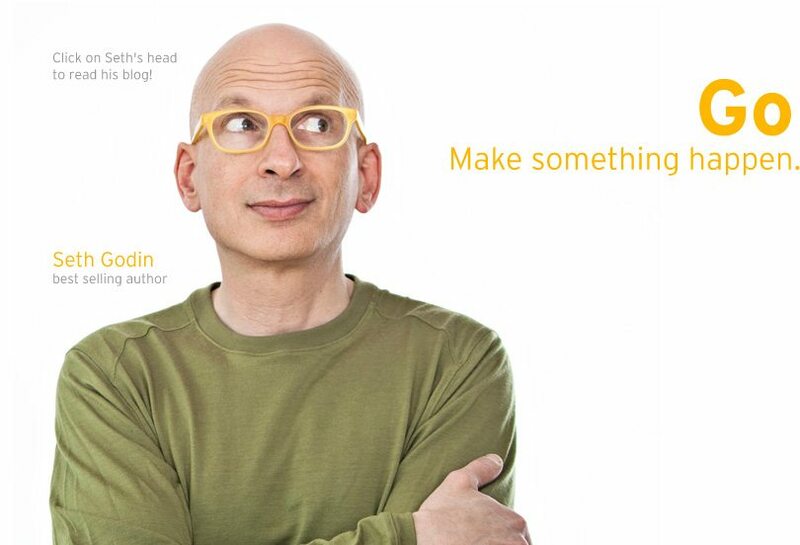 As luck would have it, one of my first mentors recommended Seth Godin to me. I even got to talk to him briefly via email. His blog is a typepad that varies in length and subject matter. He talks a lot about marketing, sales and general creativity. He was one of the first writers that truly inspired me, and I’m still learning from him years later. What websites inspire you? Message me your inspirations or let us know what you love in the comments. I had never heard of Unsplash before. Great resource. Great, great, great – it was very useful for me. I discovered Narratively thanks to you and I am sure I will love it. Thank you. I know it’s overdone, but StumbleUpon is still my first resource for finding inspiration or a spark of creativity. I needed this post. 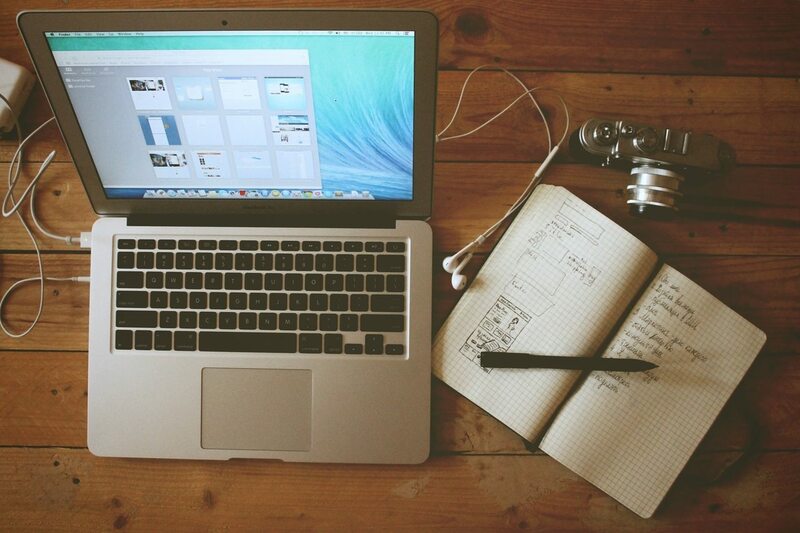 I’m starting out as a freelancer and you have some great resources in this list. Thanks! Reblogged this on Not for the Dinner Table. Unsplash is awesome! Thanks for the ideas! Sale newest jordans 2014 in stock from official Cheap jordan Wholesale Shop china, buy wholesale cheap jordan with free shipping.